WEST LAFAYETTE, Ind. — Cells from one's own blood could be converted into a treatment for autoimmune diseases, like rheumatoid arthritis and Crohn's disease, based on the discovery of a Purdue University researcher. 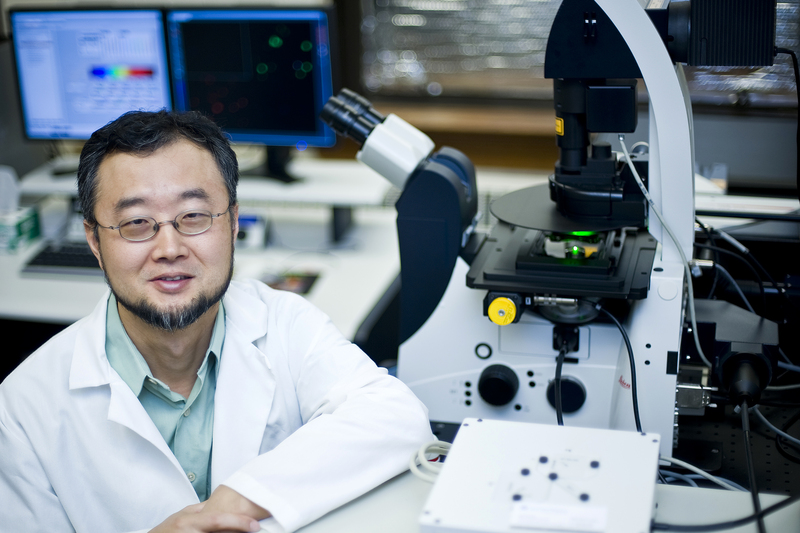 Chang Kim, a professor of comparative pathobiology, has created a way to direct the differentiation of T-cells, a white blood cell that is a key player in the body's immune system. The method uses naïve T-cells, immature cells from which all T-cells develop, and induces them to become suppressive T-cells that block the development of painful inflammation associated with autoimmune diseases. Naïve T-cells can be gathered from a patient's blood, treated and then re-injected, said Kim, who also is a university faculty scholar and member of Purdue's Center for Cancer Research and Weldon School of Biomedical Engineering. "These cells are being directed to become a type of cell that is already present in our bodies, where a fine balance between inflammatory T-cells and suppressive T-cells is maintained," he said. "We are just tipping the scales in favor of suppressive T-cells to reduce inflammation. Because of this there are none of the toxic side effects associated with many immune-suppressive drugs. In addition, cells from one's own body aren't rejected and remain in the body much longer. Instead of taking a pill every day, this could lead to a treatment administered, for example, every six months." Autoimmune diseases occur when the immune system attacks one's own body instead of fending off infection from viruses, bacteria and other foreign cells. An overactive immune system sends T-cells to healthy tissue and organs where they cause inflammation and tissue destruction. Suppressive T-cells migrate to areas of inflammation and suppress the T-cells there without significantly lowering the number of T-cells in other areas of the body where they are needed for proper immune function, Kim said. "Treatment with suppressive T-cells has the potential to be a much more precise and targeted regulation of immune function than what currently exists," he said. "Treating autoimmune diseases without compromising a patient's immune system has been a big problem in the field. We need to catch the thief without taking down the house, and this has that potential." Kim discovered that naïve T-cells cultured in the presence of the hormone progesterone can be induced to become suppressive T-cells. This discovery and his work have been detailed in papers in the Journal of Immunology and the European Journal of Immunology. The group also filed a patent based on this work. The national Institutes of Health and the Crohn's and Colitis Foundation of America funded the research. Studies in mice showed that about 500,000 suppressive T-cells are needed to have an effect on inflammation, Kim said. "More work needs to be done to determine the appropriate dosage of cells for a human patient, but the amount of blood many people regularly donate would likely yield multiple treatments," he said. Kim next plans to study at the molecular level how progesterone causes the cells to differentiate into suppressive T-cells and to uncover the proteins and protein receptors involved. An understanding of the molecular regulation of these cells could lead to a way to control their differentiation and function without using progesterone, he said.